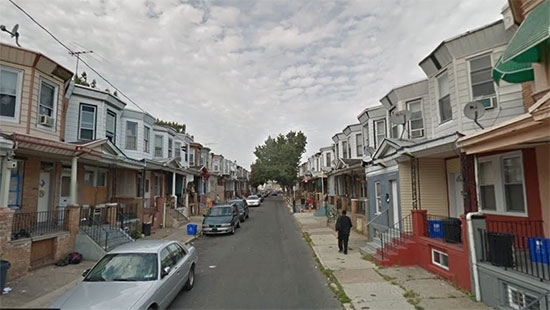 A toddler was shot four times when a gunman opened fire on his father while they were sitting on a porch in Kensington last night. It happened around 9:15 p.m. on the 3300 block of Malta Street. The 26-year-old father was the target of the shooter and got hit in the knee, but his 2-year-old son got shot 4 times in the back. The child was taken to St. Christopher's Hospital in critical condition. The father was taken to Temple University Hospital in stable condition. Witnesses say that two men fled the scene on BMX bikes. One man was wearing a white vest while the second was wearing a red shirt. Both were wearing cut off jeans or shorts. Police are looking for both suspects. Police are searching the Delaware River for a missing 16-year-old boy. Last night around 11 p.m., a group of four teens jumped into the river from the Linden Avenue Boat Ramp in Pleasant Hill Park in Northeast Philadelphia. Three of the boys made it back out of the water, but Antoine Fox, a tenth grader at Abraham Lincoln High School, did not resurface. The teens, ages 17-19, called 911. Authorities, including police, fire, dive teams, and the Coast Guard, searched overnight. They are continuing the search today, but it has been reclassified as a recovery mission rather than a rescue. A 2-year-old is in stable condition at the hospital after falling from a three-story window. It happened around 11:30 a.m. Saturday along the 2100 block of North Dover Street in North Philadelphia. The child was taken to Hahnemann Hospital. No word on the circumstances that led to the fall.